Stefan Constantinescu (@WhatTheBit on Twitter) is one of the best known and IMHO best online journalists (although he prefers to call himself a blogger) covering the mobile scene. Stefan spent a couple of years working at Nokia in its better days and over the years his byline has been seen at Intomobile, Engadget, Android Authority and lots of other major sites. 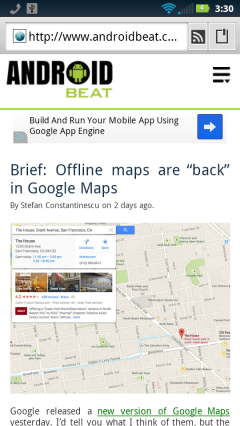 Now he’s running Android Beat, a new site that launched in March. Stefan says the site will provide daily updates of everything Android related that he finds interesting, including the best stuff from other sites around the web. To keep the site humming he’s enlisted the help of another well known blogger, Steve Litchfield of The Phones Show and All About Symbian fame. 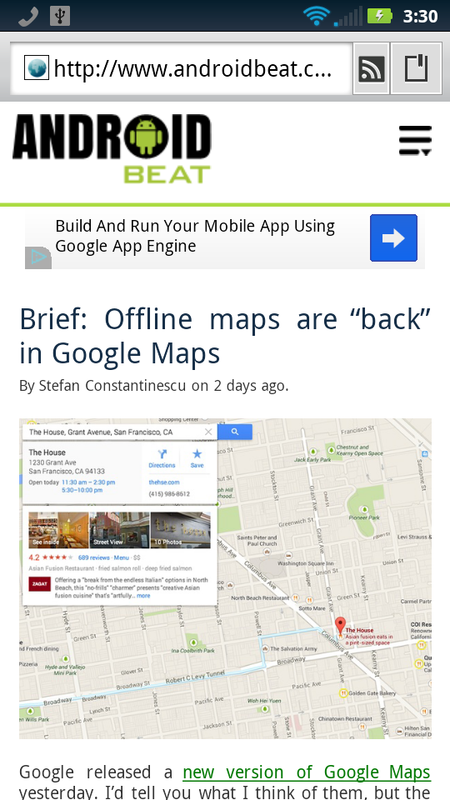 Android Beat uses device detection to serve a separate mobile template to mobile browsers. 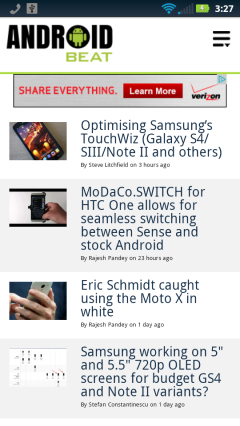 It loads quickly and is easy to navigate in the Android browser and Opera Mini and I suspect just about any modern mobile browser. 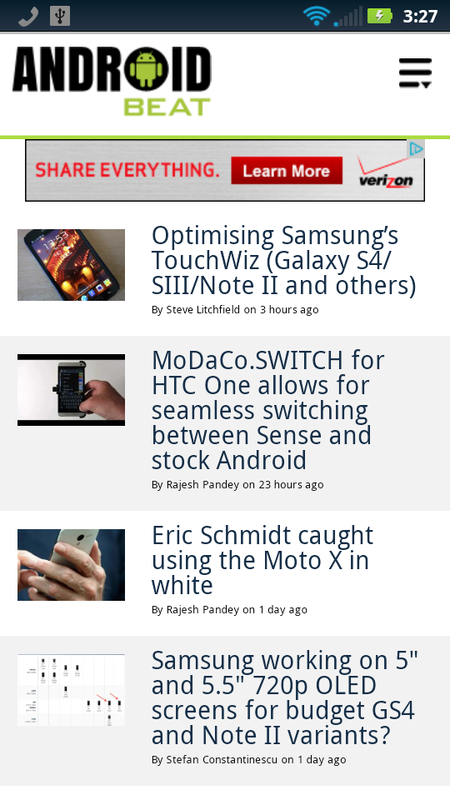 This entry was posted in Android and tagged mobile site review, mobile tech news sites by Dennis Bournique. Bookmark the permalink.